Ongoing Operations is proud to be a sponsor of this year's 2018 Cuna Technology Council Conference. Please make sure you stop by the Ongoing Operations booth and say hello! Join us September 12-15, 2018, in San Francisco, to discover the latest ways to enhance your processes and face new challenges while meeting with top industry experts. Future Forums offer two forums in one. The Economic Forum will begin Monday morning, October 1 and continue through lunch on Wednesday, October 3. Attendees will hear experts speak on timely topics such as crypto-currency and artificial intelligence, including panel discussions tackling payments, credit union management and other hot-button issues. 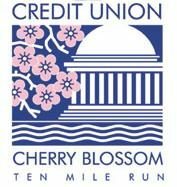 Kirk Drake, CEO of Ongoing Operations and Founder of Credit Union 2.0, will be speaking and signing copies of his book, CU 2.0. Learn more about the event here. Washington DC Union Station, 50 Massachusetts Avenue, N.E. Ongoing Operations will hold its annual Investor Summit November 15th, 10am-1pm, at the Credit Union House in DC. If you have any questions please reach out to Misty Rayo at mrayo@ongoingoperations.com. Additional details should be in the invitation you received. Please don't hesitate to reach out if you have any questions, and we look forward to seeing you there! Click here to view other upcoming events. 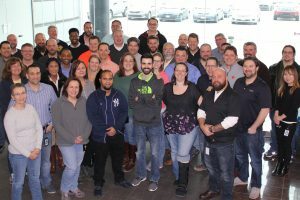 On Monday (1/28/19) through Friday (2/1/19), Ongoing Operations employees will be traveling and participating in our All Staff Conference. The objective of our All Staff Conference is to improve our organization, and ultimately, our clients' experiences. We look forward to our continued work with you and your organization in 2018 and beyond! Ongoing Operations will be hosting an event during this year’s NACUSO Network Conference. Be on the lookout for more details in your inbox. You don’t want to miss a night at the ballpark with OGO. Cheers!